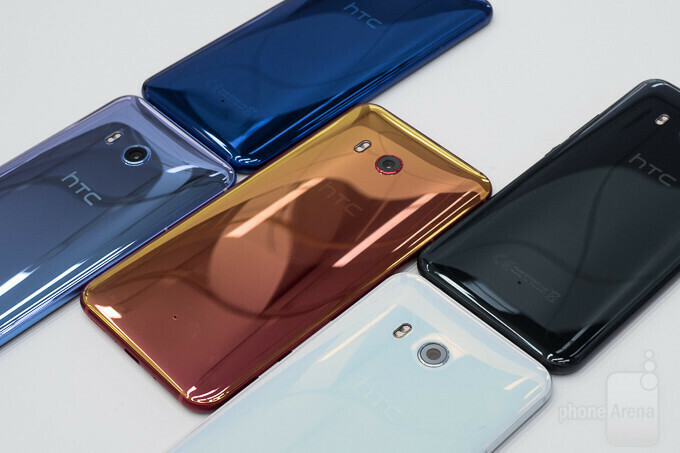 HTC's new squeezable flagship, the U11, is getting its very first update. Coming in as version 1.11.617.3, the patch weighs in at the rather massive 1.9GB. With such a hefty size, one would assume that the new version will be accompanied by a changelog of similar proportions. Sadly, this is not the case, as the only thing mentioned in said changelog is that the new software upgrade includes system enhancements. The update has started rolling out via OTA in the US, but keep in mind that it might take some time to reach everyone. You can see the software version of your device by going to Settings -> About -> Software information. If the Software number is less than 1.11.617.3 and you don't have a pending update notification, HTC also provides the option of downloading and applying the patch manually. You can check out how to perform this operation by visiting the source link below. As always, make sure that your phone is charged and hooked up to Wi-Fi before proceeding with the patch. How come iPhonearena isn't putting out the " failed durability test" article . Jerryrigeverything put the HTC sqU11ze on his "Shelf of Shame". Phonearena very late or biased (Paid by HTC?) Normally its very quick to jump onto any controversy . This is exactly what is wrong with Android today. An HTC fan accusing an isheep for being paid by Samsung. I mean what?! No unity. Just admit that the GS8 is the leader and champion of Android and stand behind it like every isheep down to a tee stands behind crappy phones with poor 750p displays. I wish i was paid by samsung or any tech firm for that matter. It am only stating the facts , why are you getting so riled up? Please go see a shrink. "Paid by HTC" is the last thing you want to say about PA.
Ha! 1.9 GB is the downloadable installation file for the computer, not the actual phone update. That 1.9 GB includes the .exe program for installing via USB cable. The actual update that you install on the phone is smaller. If you get the update over the air, the message says it's only 297.88 MB.